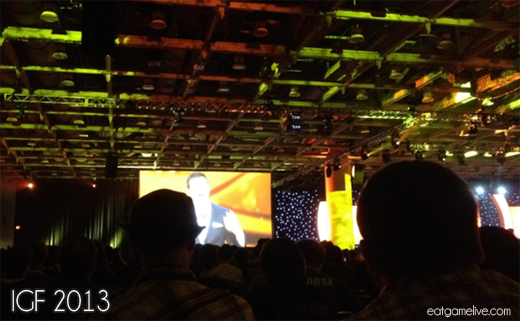 Last week, I spent two days attending the Game Developer’s Conference in San Francisco. 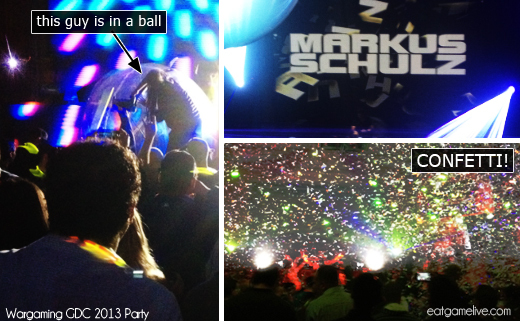 I was fortunate enough to be sent on behalf of my company to experience the sights and sounds of GDC ’13. No booth duty, this time! I don’t have many pictures to showcase because I pretty much forgot about taking photos. Oops! The photos are pretty poor quality since they were taken with my phone. However, I did manage to score some swag (including a Teemo hat, finally) and attend a pretty spectacular party thanks to my lovely friend at Wargaming. But, GDC isn’t about just partying and collecting swag around the expo hall; it’s about the developers! GDC held the 15th Annual Independent Games Festival where indie developers were presented awards for visual design, game design, sound, technical design and more. One of my favorite PC games, FTL received two awards in the categories of “Excellence in Design” and the “Audience Award”. But that’s not all! They also scored the award for “Best Debut” at the Game Developer’s Choice Awards. Not a bad day for an indie studio, right? 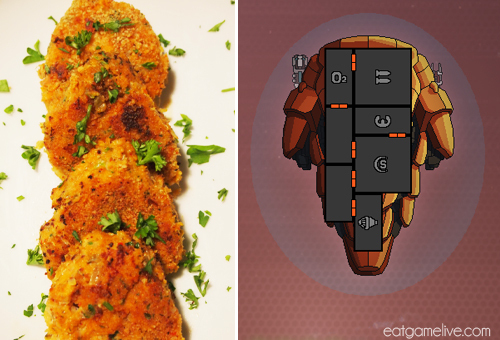 And that’s why they deserve another recipe (but really, it’s because I like to play FTL)! So why not go all crab? Mainly because lump crab is incredibly expensive here (~$22/lb at the local grocery store)! Buying a whole crab is cheaper, however, you’ve got to factor in the labor required to remove all of the meat from the crab. I wanted to write a recipe that had delicious crustacean, but wasn’t incredibly time consuming nor painful to the gamer wallet. However, if crab is cheap where you are, then by all means, swap out that extra shrimp for more crab. 😀 The recipe will still be the same. Total prep time will be about 25 minutes. Cook time will be about 24 minutes (about 8 minutes per batch of cakes). This will make about 3 servings. Combine crab, shrimp, lemon juice, and egg in a bowl. Season with salt, pepper, dill, and some chopped parsley. 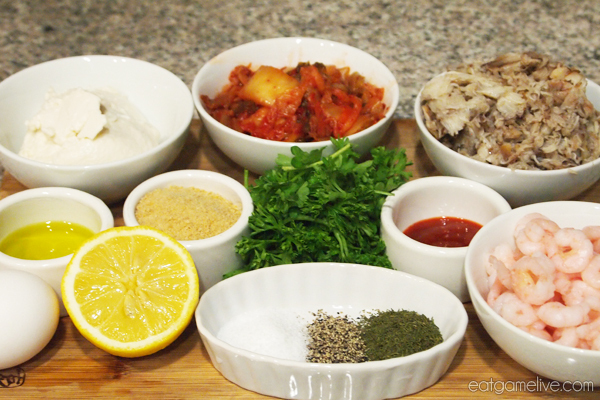 Add in chopped kimchi, 3/4 cup of mayonnaise, and half of your bread crumbs. Stir to combine. Add olive oil to a pan on medium high heat. Form mixture into 2″ (in diameter) patties. To create a “rock scout” cake, simply create a small inverted “v” shape (much like a chevron shape) at the bottom of your patty. Place patties on the hot pan. Cook for about 4 minutes on each side or until golden brown. Combine the remaining 1/4 cup of mayo with your sriracha. Serve sriracha mayo sauce with the cakes. 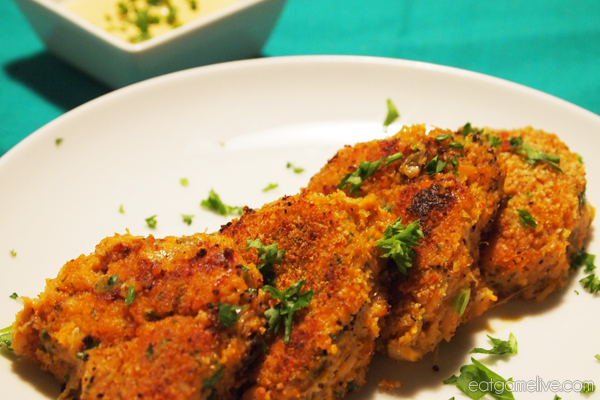 These crab and shrimp cakes should be pleasantly spicy with the sauce. If you can endure the heat like a Rockman, add 1 tablespoon of sriracha to the initial crab and shrimp mixture. Much like the Rock Scout Ship, these tasty cakes have a crunchy and delicious hull. No need for burst lasers here; just use a fork. GG WP! I wanted to make these more rock scout-shaped, but they didn’t necessarily go as planned… Oh well, still really tasty! You won’t be able to escape the rebel fleet on an empty stomach, so take a break and cook up these Rock Scout Ships! 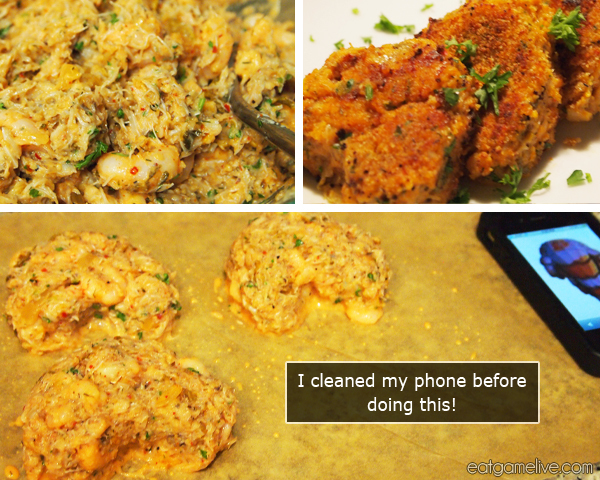 This entry was posted in appetizers, faster than light, seafood by admin. Bookmark the permalink.